Traction supports help supporting traction and grasping power for many traction exercises like chin-ups, neck lifting, chin pulling, lat pulling or rowing. 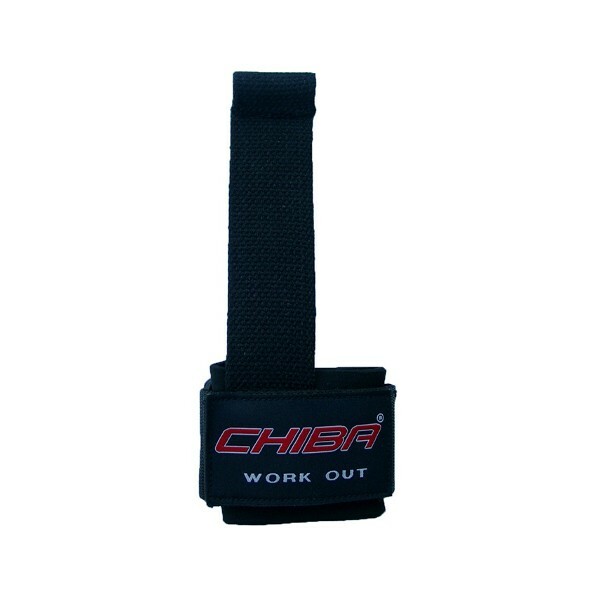 The Chiba traction support Powerstrap I is a padded wristband made of cotton with infinitely variable hook-and-loop fastener. The band is three times sewed and nonslip. The maximum towing capacity of the Chiba traction support Powerstrap I is 100 kg.